Meyerson Symphony Center | Brahms' glorious Symphony No 1 was 21 years in the making. This concert will also feature the infamously demanding Sibelius Violin Concerto performed by Midori. Dee and Charles Wyly Theatre Hilarious and downright irreverent,Moonshine: That Hee Haw Musical distills the spirit of an iconic television series and bottles it into an original musical comedy. Set in present-day Kornfield Kounty, this highly anticipated show introduces a new generation of irresistible characters as it tells the story of Misty Mae, the ultimate hometown girl who heads out to follow her dreams in the big city… of Tampa. When she returns home to introduce her slick city-boy beau to her friends and family, everything goes haywire. Featuring an original score by Grammy Best New Artist nominee Brandy Clark and Grammy Award winning songwriter/producer Shane McAnally (two of today’s most critically acclaimed country music singer/songwriters), a book by Robert Horn, direction by Gary Griffin, choreography by Denis Jones and orchestrations by Tony® and Grammy® Award winner Stephen Oremus, Moonshine: That Hee Haw Musical gets the Broadway treatment when it has its eagerly awaited world premiere with Dallas Theater Center. Contains sexual humor and innuendo; political/social satire; mild language. Couture Designer Jackie Rogers, best-known for her bold designs and fabric selection, is hosting an exclusive trunk show for her Jackie by Jackie Rogers line at Tootsies for three days. Shoppers will have the opportunity to browse racks in a dedicated section of the store to view some of Jackie by Jackie Rogers’s signature designs. On display will be the brand’s ornate silk organza blouses with structured ruffles which cascade down the front of the blouse and encompass the collar along with its silk organza wrap tops, which are available in bold colors including periwinkle and shocking pink. The signature of Jackie By Jackie Rogers’s brand, which has been available at Tootsies for just under two years, has been its classic dresses cut from silk crepe to create unique styles to be enjoyed for years to come. From signature one shoulder LBD’s with a large rosettes at the top of the collarbone to black and white cocktail dresses with a silk organza shoulder flounce, Jackie by Jackie Rogers designs suit all aesthetics. Meadows Museum presents Discover Spain! 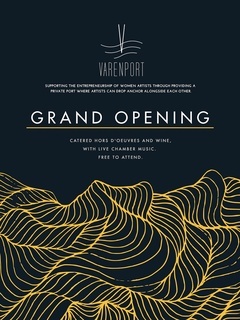 Varenport’s grand opening will feature a gallery showcase of the artwork produced by the artists in residency for the fall session. All artwork will be for sale in the silent auction, with 50 percent of the proceeds returning back to the artists to support their endeavors, serving as an empowering platform. 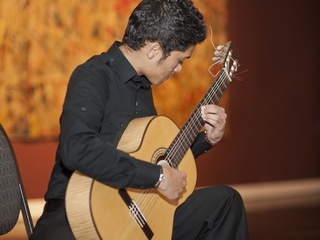 Chamber music will fill the air as guests enjoy hors d’oeuvres. Kirk Hopper Fine Art will present two new exhibitions, Labyrinth and The Devil Within and Without. Marking Keri Oldham's return to KHFA,Labyrinth is a modern allegorical watercolor and mixed media series that draws inspiration from the 1980s cult classic film in addition to the ancient myth of the Minotaur. The Devil Within and Without is a group exhibition curated by Oldham and Colette Robbins, themed on the inner and outer demons that shape many artist’s creative practices. Drawing inspiration from folk and outsider art traditions as well as psychology and religion, this exhibition features work by both Texas and New York based artists. The Devil Within and Without includes work by Lanie DeLay, Bruce Lee Webb, Ashley Whitt, Erin Stafford, Colette Robbins, Shane McAdams, Ken Tisa, and Richard Hart. Using sculpture, painting, drawing, and photography, this group of artists lifts the wool from our eyes to show us the psychological underbelly of a variety of personal and cultural norms. Following the opening reception, the exhibits will be on display through November 14. 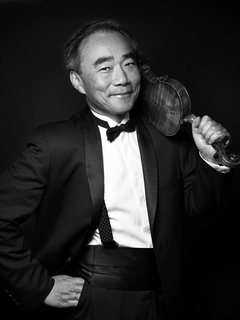 DALLAS CITY PERFORMANCE HALL | For one night only, Dallas will enjoy the performances of Music Director of the La Jolla Music Society, violinist Cho-Liang Lin, Classical Recording Foundation’s Young Artists of the Year in 2010, pianist Orion Weiss, and the international award-winning string quartet, the New Orford String Quartet. The afternoon’s French program includes the technical Violin Sonata No. 2 by Maurice Ravel, the challenging String Quartet in G Minor (1893) by Claude Debussy, and Ernest Chausson’s Concert in D Major for Piano, Violin, and String Quartet. WINSPEAR OPERA HOUSE | Shakespeare Dallas and AT&T Performing Arts Center are in the midst of presenting staged readings of every single one of Williams Shakespeare's works over five years. The 25th in the series will be Titus Andronicus. A fan favorite in its time and possibly Shakespeare’s first tragedy, this account of the fictitious Roman general, Titus Andronicus includes 14 killings, six severed members, one live burial, one case of insanity, one case of cannibalism and 1-3 rapes depending on how you count. It’s a tale of escalating revenge gone horribly wrong and easily wins the title of Shakespeare’s bloodiest play. Performances will take place in Hamon Hall.